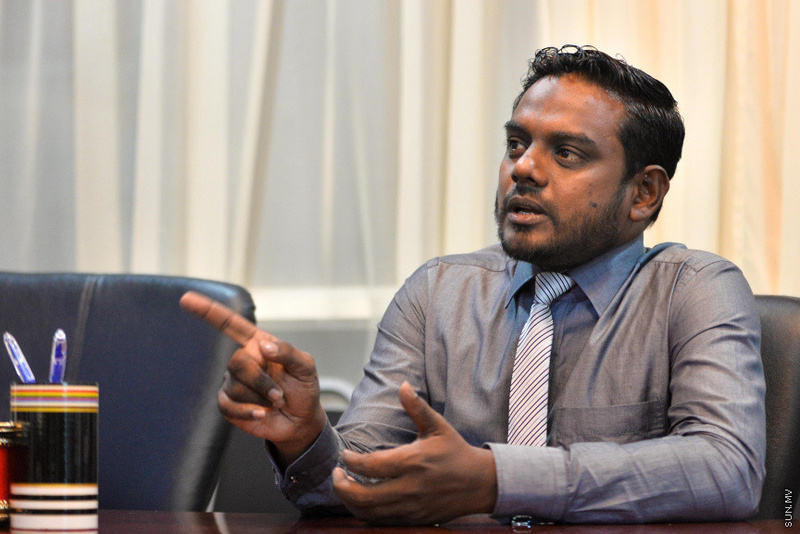 Elections Commission has said that some members of the opposition invoked violence on the last deadline to submit re-registration forms and it was stopped by the Maldives Police Service. Yesterday, President Abdulla Yameen Abdul Gayoom, too, said that oppositions "charged" on the Elections Commission to submit re-registration forms. Spokesperson and Member of the Elections Commission, Ahmed Akram said that Elections Commission had notified that no forms will be accepted after 12 a.m.that night. However, some members of political parties left with re-registration forms just ten minutes before 12 a.m. and came back with filled forms past 1 a.m.
"Then, they attempted to force down the door to the Elections and enter. That's when police officer at the area and stopped them with more police called in." Akram said. He said that some former members of the parliament were also involved in that night. While the re-registrations closed for the Presidential Election 2018 last Saturday, Akram said that the exact number of re-registrations can be verified tomorrow. He said that the re-registrations are expected to be close to 95,000.